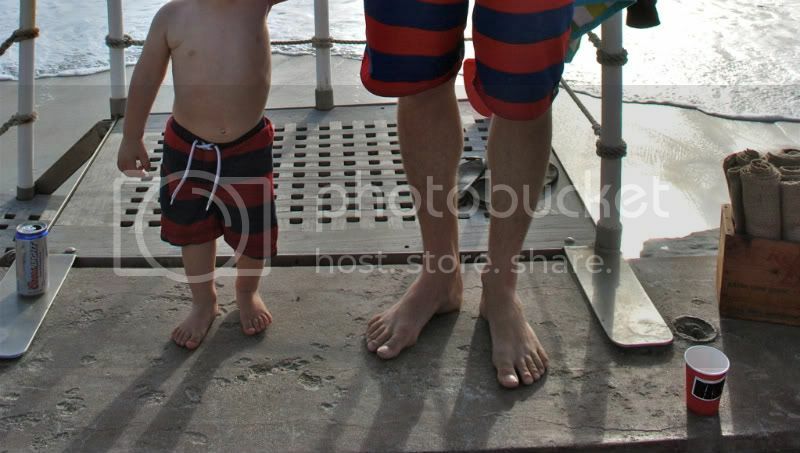 I have the same trunks for my little guy and hubby! How funny! They are precious! adorable!! Love the matching suits!! Are those matching swim suits?! So cute!